~ continued my schedule of regular campaigning around Harrow East. ~ hosted a discussion for the Unity of Faiths Foundation, a secular, neutral platform for communities to encourage and actively engage in greater social cohesion. ~ presented the Charity Challenge Award at the Harrow College Student Awards Ceremony 2014. 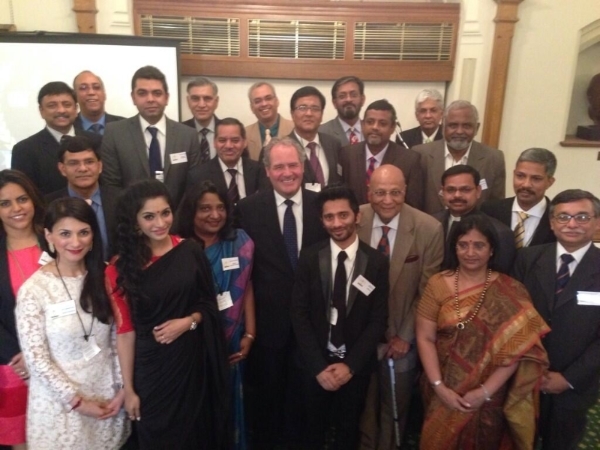 ~ supported the Parliamentary launch of the British Board of Hindu Scholars, an initiative to help expand knowledge of the Hindu faith as part of India's vast academic heritage and its place in Britain today. ~ joined local Councillors at the annual Civic Service at the Parish & Borough Church of St Mary, Harrow on the Hill. 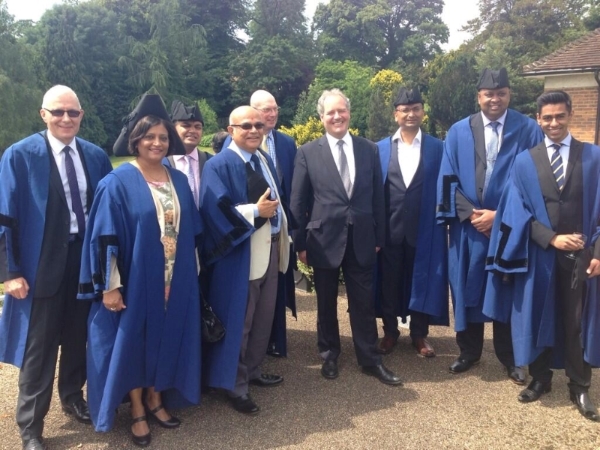 After the Service, which is a key part of the civic year to bless the work of local politicians, a reception was held at Harrow School with local community members, including voluntary and uniformed organisations. 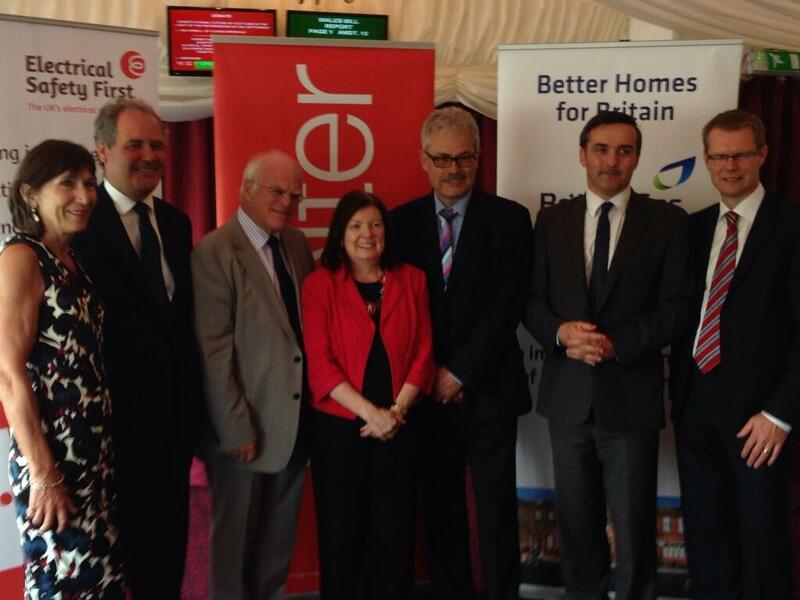 ~ continued my work on the Communities and Local Government Select Committee and the Backbench Business Committee. 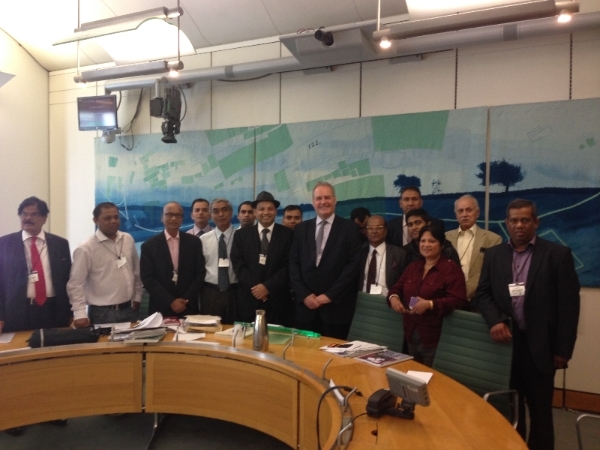 ~ hosted several meetings of the All Party Parliamentary Group for British Hindus to discuss ongoing concerns in relation to caste legislation and regulations on Indian traditional medicines. 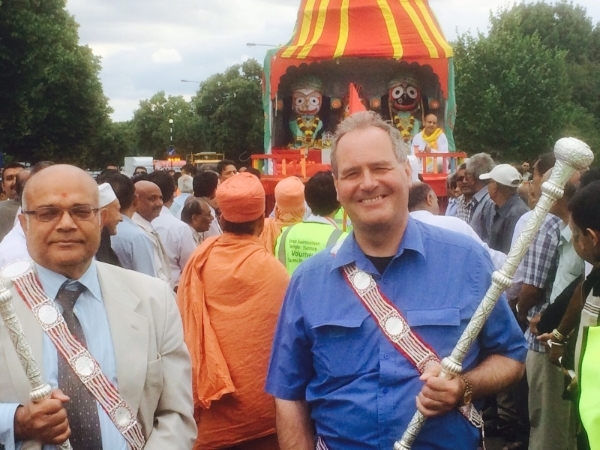 ~ joined in with the Rath Yatra celebrations in Queensbury Park. I was honoured to be present for the blessing of the chariots and to take part in the procession, together with the mayor of Harrow and local Councillors Manji Kara and Kanti Rabadia. 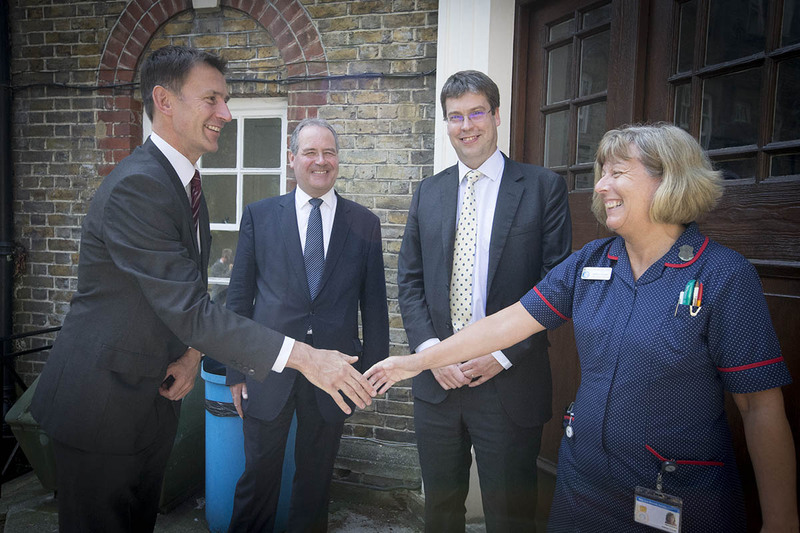 ~ invited Jeremy Hunt back to the Royal National Orthopaedic Hospital in Stanmore for a meeting with Rob Hurd, the Chief Executive of the hospital, Kathryn Corder, Deputy Director of Nursing and Jan Gawronksi, Consultant in Rehabilitative Medicine, to discuss the business plan for the hospital's redevelopment programme. We had a very productive meeting about the submission the hospital will be making to the Trust Development Authority to secure the final Â£20million of public capital to ensure the redevelopment programme of the hospital's NHS wards can progress. ~ continued my programme of events for the Bob Blackman Business Breakfast Club. Recent speakers include London MEP Dr Charles Tannock and the Parliamentary Under-Secretary of State for Charities, Social Enterprise and Volunteering, The Hon Nick Hurd MP. 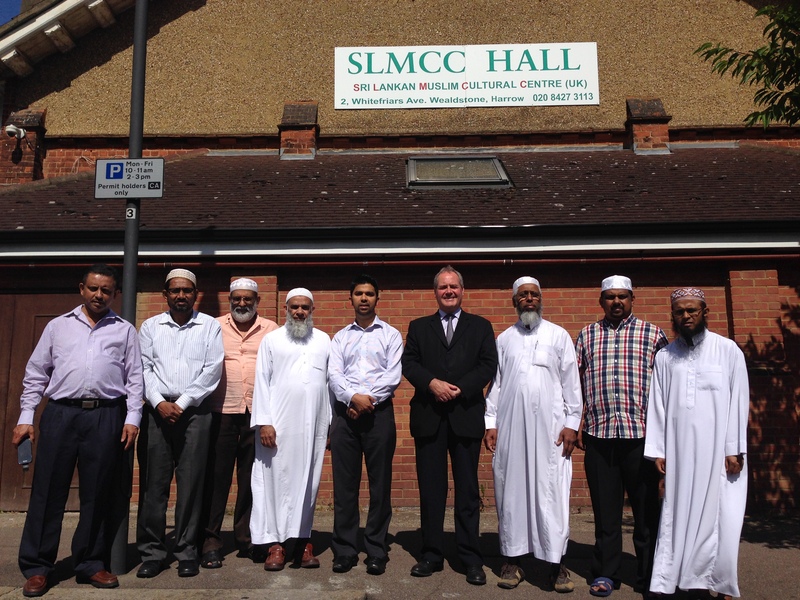 ~ visited the Sri Lankan Muslim Cultural Centre (UK)-SLMCC(UK) to discuss concerns at the lack of response by the Sri Lankan government and the suffering of Sri Lankan Muslims due to Sinhala Buddhist extremist activities in the region. I have also raised the matter in the House. ~ met Paul Nasjarek, the Acting Head of Paid Service at Harrow Council, in order to discuss issues of relevance to local constituents. 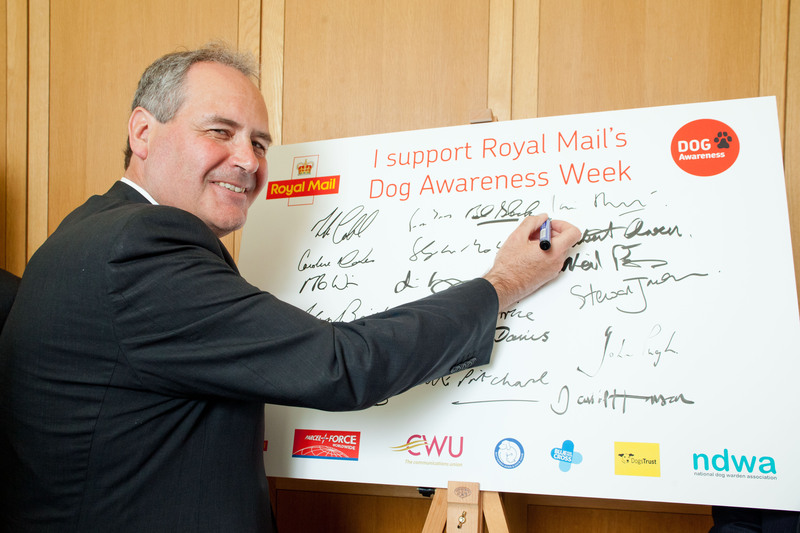 ~ attended a Dog Awareness Week Royal Mail drop-in session at Westminster, supported by Battersea Dogs & Cats Home and Dogs Trust, with Royal Mail Group Director of Safety, Health, Wellbeing and Sustainability, Shaun Davis. ~ met the Redbridge Hindu Association to discuss their concerns about the persecution of Hindus and other minority religions in Bangladesh. Many British Hindus are extremely concerned about the safety of their relatives and friends in the region. ~ hosted a Total Politics breakfast roundtable discussion on Government Services and Efficiency, featuring a presentation by the ASAN service from Azerbaijan. ~ went to Number 10 Downing Street with a group of fellow London Conservative MPs to discuss regional concerns with the Prime Minister, David Cameron. ~ met Cancer Research UK scientists in Westminster to find out more about the charityâ€™s inspiring new plan to accelerate progress and help save more lives in London. 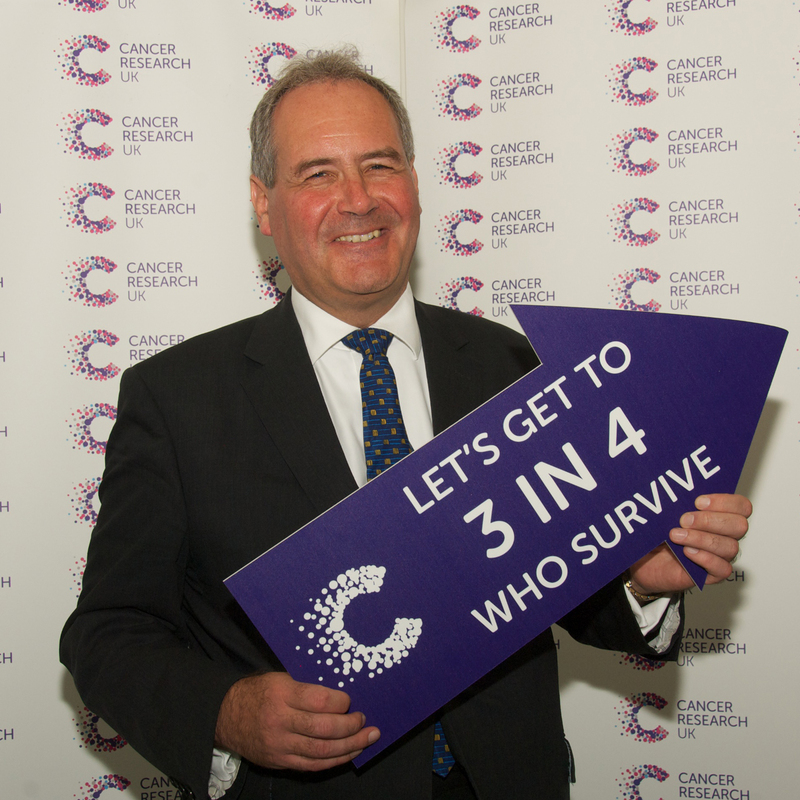 Two in four people diagnosed with cancer today in the UK will survive their disease for at least ten years. In London, this means that around 14,000 people each year can now expect to survive for at least ten years. ~ spoke at the launch of a joint report by Electrical Safety First and Shelter about the difficulties private tenants have in reporting safety concerns. The report, which concentrates on electrical safety, shows that faults in electrical installations and appliances are a major cause of domestic fires. ~ had meetings with various colleagues, constituents and charity representatives to discuss the issues that matter to our area. 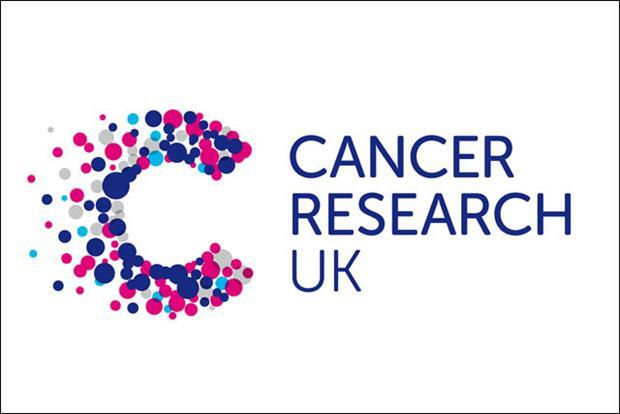 Cancer Research UK is the single largest funder of cancer research in the Uk and is actively fighting over 200 different cancers by helping to develop the pioneering techniques which are saving lives. The charity has roots in research funds dating back to 1902 and, today, supports the work of more than 4000 scientists, doctors and nurses across the UK. To find out how you can play your part in supporting this innovative charity, please visit their website, here. Bob Blackman (Harrow East) (Con): It is a pleasure to serve under your chairmanship, Ms Dorries, as we debate a very pressing need for new school places in the London borough of Harrow. The Minister and I have had previously a debate in this Chamber about providing new school places on a specific site, but I want this afternoon to debate the principal issue of the need across the borough for new places. They are urgently needed, as I will outline. The key point is that although Harrow is unique, it is not unique in requiring new school places. The birth rate across the country has increased dramatically in the past 10 years and therefore the demand for primary school places right across the country has increased. In the 10 years between the last two sets of census figures, the birth rate increased by some 688,000, so places are required across the country. Even with existing capacity, by next September there will be a further need for 256,000 new school places across the country. The vast majority of those are of course primary places, of which 37% are in London, so London has the principal problem. However, the situation in Harrow is even worse if that is possible. The population rise in Harrow has been 15.6%, compared with the national increase of 7.9%. That is just for the general population. Our increase has been double the national increase. Harrow is also ranked 23rd out of 326 local authorities in the country for density of population. Bob Blackman (Harrow East) (Con): I beg to move, that this House has considered the e-petition relating to making Eid and Diwali public holidays. Mr Bayley, it is an honour to serve under your chairmanship for the first time. Jai Shree Krishna, Salaam Alaikum, Namaste and Shalom! This e-petition was not my idea and I cannot claim ownership of it. However, I will explain why I have agreed to be the Member who sponsors it and makes sure that it is debated in the Houses of Parliament. I am the MP for Harrow East, an area of enormous diversity of culture and religionâ€”in fact, I would claim that it is the most diverse constituency anywhere in the country, containing people of all religions and from every country on the planet. I celebrate all the religious festivals in a number of ways. I join my Hindu friends at all their various festivals, including Diwaliâ€”or, to use the term more appropriate for my constituency, Deepavali. I join my Muslim friends at Eid, my Jewish friends for Rash Hashanah and Hanukkah, and my Christian friends for Christmas, Easter and other celebrations. I join my Sikh friends for Vaisakhi and my Chinese friends for Chinese new year. I also celebrate many other occasions throughout the year with all kinds of groups within my constituency alone. Bob Blackman (Harrow East) (Con): The benefit of these Adjournment debates is that they give Members in all parts of the House the opportunity to raise a range of issues. For onceâ€”for, probably, the only timeâ€”I agreed with every single word that was said by the hon. Member for Rhondda (Chris Bryant) about both football and Russia. GetWestLondon: Should Muslim and Hindu holidays Eid and Diwali be made public holidays?